• Made from durable nylon material that is comfortable and strong. • Meets AAMI and AHA Cuff Sizing Recommendations. • Printings in particular color indicate the cuff sizes. These NIBP reusable cuff are made by using very high quality raw material which ensures high durability at its user end. These NIBP reusable cuff are widely finds its applications in various medical sectors. With years of experience and knowledge in this field, we are occupied in offering premium quality Unimed NIBP Cuff. 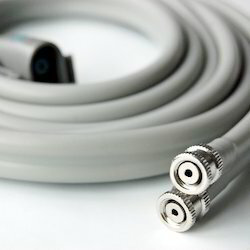 On the demand of our esteemed clients, we are actively devoted towards providing a supreme quality range of Dual Tube NIBP Hose Cable. With a far sighted vision, a keen perception of the market trends, we are actively engaged in offering quality assured Suntech NIBP Cuff. Suntech Medical® U.S.A. has focused solely on the continual advancement of blood pressure measurement technologies for challenging and complex clinical environments. 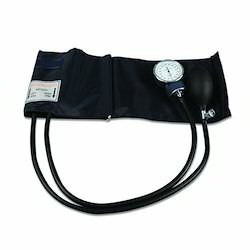 As automated monitors have become routine for blood pressure measurement, it is important to remember that the blood pressure cuff is the sensor. With this in mind, we have applied our expertise to engineer high-quality, clinical-grade blood pressure cuffs designed for consistent and accurate measurement for the widest variety of clinical applications and environments. 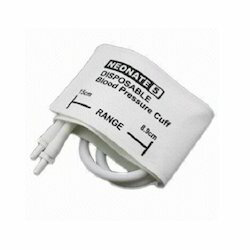 Disposable BP Cuffs – Soft, single-patient, tapered-end disposable blood pressure cuff with a patient ID line to minimize cross-contamination for infection-control conscious hospitals. All-Purpose Cuffs – Traditional 2-piece design, removable bladder, most durable. One-Piece Cuffs – Easiest to clean and disinfect, best value. We have carved a niche as a well known firm of optimum quality Disposable NIBP Cuff. 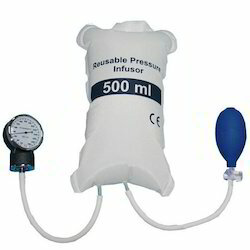 Pressure Infusion Cuff for rapid pressure infusion and irrigation purposes.